3 beds | 3.00 baths | 2,836 SQ.FT. 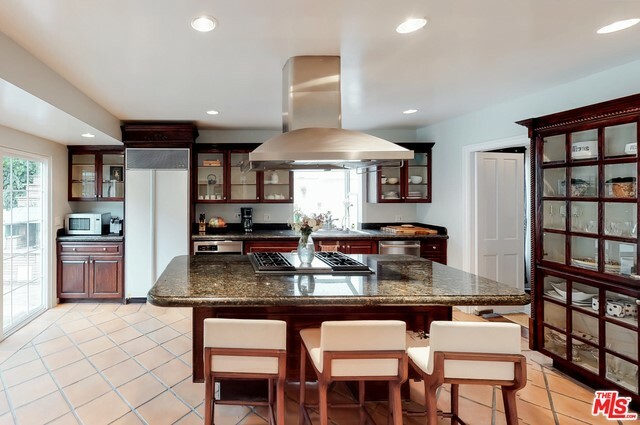 Immaculate, turn-key, traditional home in one of the most desirable pockets of Beverly Hills. Walk to coffee shops, 5 star restaurants, and world class fitness facilities. Come home and luxuriate in your private backyard oasis complete with show stopping pool, pizza oven, seating area, and spacious storage shed to tuck away all your outdoor entertaining supplies. Updated kitchen with Sub Zero refrigerator provides the perfect spot to host friends and family, opening up to a large great room to enjoy open concept living and the ideal indoor/outdoor California lifestyle.The two large ensuite bedrooms upstairs feel like dual master suites, and third bedroom downstairs is perfect to accommodate your guests or home office. With the additional formal dining and formal living room, spacious two car garage and hidden storage galore, this light and bright home truly has it all! A unique estate not to be missed! Listing Provided by Cristin Beavers, Purplebricks Realty Inc.